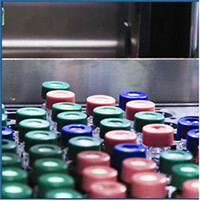 A fulfillment and distribution company handles health and pharmaceutical product fulfillment for mail order customers. They are experiencing growth in their business, and for one particular facility, the increase in volume is resulting in extensive use of overtime and weekend shifts. The management team was searching for solutions to improve output. A tool box manufacturer is implementing Lean Manufacturing to leverage their production capabilities. They have implemented Lean Enterprise/Six Sigma programs along with other initiatives in certain areas. Also, the company recently made significant improvements in manufacturing automation by investing in upgraded fabrication machinery. Now they would like to improve overall efficiency.